Alabama is a water-rich state with more than 132,000 miles of rivers and streams, 3.6 million acres of wetlands, 60 miles of Gulf of Mexico coastline, the most extensive artificial reef system in the United States, and 560,000 acres of lakes, ponds, and reservoirs. Alabama’s waters are also among the most biologically diverse in North America with more than 300 species of freshwater fishes and diverse marine fishes and invertebrates, aquatic plants, reptiles, and amphibians. These rich water resources are used for drinking and other household uses, hydroelectric power, irrigation, aquaculture, commercial and recreational fisheries, transportation, industrial uses, and recreation. Demands will continue to increase as human populations expand and development increases. The Aquatic Resources Program Team provides science-based Extension programs in aquaculture (freshwater and marine), private pond and lake management, coastal resources, commercial and recreational fisheries, aquatic resource conservation, and aquatic resources K–12 curriculum development. Our team includes statewide specialists and area specialists located strategically around the state as well as natural resource regional agents and county coordinators. Together, we provide educational programs, workshops, seminars, and diagnostic services with emphasis on environmental stewardship, best management practices, and economic viability. Background: Aquaculture, like agriculture, is a complex subject with numerous facets for study in educational programs. Secondary agriculture and science teachers have realized this and integrated aquaculture into their curricula. 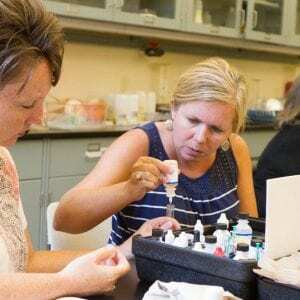 Aquaculture is an excellent teaching tool, because it easily integrates many disciplines including biology, chemistry, economics, math, and physics. Growing fish, aquatic plants, and other living things in the classroom creates a living laboratory and promotes daily hands-on experiences that enrich the learning environment. It makes learning practical, experiential, and enjoyable for teachers and students. But very few teachers have any formal training in aquaculture or aquaponics and are unprepared to teach these classes, diminishing the potential impact. Approach: This project included multiple approaches to provide aquaculture training and education opportunities to teachers, students, and the public. Techniques included workshops (2), tours (46), presentations (60), television interviews (1), and online videos (25). Background: U.S. farm-raised catfish is the ninth most popular item of all fish and seafood products consumed in the United States. Americans eat 15.5 pounds of fish and seafood per person per year, and each American eats 0.56 pounds of U.S. farm-raised catfish annually. Alabama ranks fourth in U.S. aquaculture (including catfish) sales at $121 million. In 2017, the U.S. farm-raised catfish industry produced 329 million pounds of catfish from 63,040 acres of water. Alabama produced 108 million pounds from 17,031 acres representing 33 percent of all catfish produced in the United States from 28 percent of the total U.S. catfish industry acreage. The average Alabama catfish production is 6,135 pounds per acre per year. This decline is due to several issues. Feed prices: A dramatic surge (140 percent) in feed prices from $201 per ton in 2000 to $482 per ton in 2014. • Competition: Inexpensive imports (mainly from Vietnam and China) flooded the U.S. marketplace with alternative catfish-like products, such as tra, swai, and basa as well as tilapia. 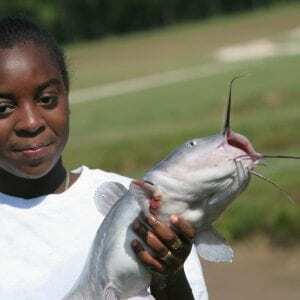 Other economic forces: The great recession and a decline in catfish demand have significantly reduced the size of the catfish industry in Alabama and the rest of the United States. Disease losses: Annual production losses have been greater than $12 million annually during the last 10 years because of bacterial diseases, representing the biggest challenge to the Alabama catfish industry. Losses have been particularly heavy because of a virulent strain of Aeromonas hydrophila bacteria introduced from China. Fish size: Included in the harvest recently have been excessive amounts of large fish that are too big for processors to accept. 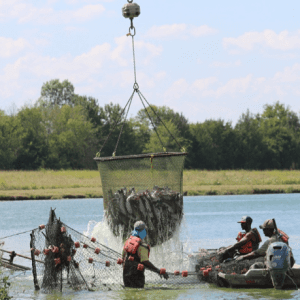 Background: The Pond to Plate project has been working during the last nine years with the goal of finding solutions to problems facing the Alabama and U.S. farm-raised catfish industry. Broadly, these goals seek to improve efficiency, product quality, and promotion throughout the value stream (hatchery, fingerlings, growout, flavor checking, harvest, processing, distribution, consumer, retail outlets). The ultimate goal of Pond to Plate is to make this industry a competitive modern livestock industry. Over the life of the project, we have researched and provided solutions through investigation of yield verification, deployment of a hybrid grader seine, in-pond raceway systems, fillet color (yellowness/redness), rapid improvement events in processing, retail outlet needs, consumer demand, retail scanner analysis, and traceability. In final products and in the production process, the mechanism that will guide the industry toward modernity and profitability is a set of standards based on Best Management Practices (BMP) and Standard Operating Procedures (SOP) that all participants of the value stream will need to apply. Conservative Direct Impact Estimate: $1,450,500 (using a conservative estimate of $150 per contact based on cost for professional assistance). Total grant funding for this project = $103,600. Background: Diseases caused more than 6.2 million pounds of catfish losses in west Alabama in 2017. The main bacterial and viral diseases are Aeromonas hydrophila, Flavobacterium columnare, proliferative gill disease, Edwardsiella ictaluri, and toxic releases. In the 17,000-acre west Alabama farm-raised catfish industry, the totals lost to diseases in 2015, 2016, and 2017 were 6.8, 7.4, and 6.3 million pounds, respectively. The 2017 estimated dollar damage loss due to diseases and disease-related problems in Alabama farm-raised catfish was $12.1 million. For the last three years, our disease vaccine development group has been conducting experimental vaccine trials under field conditions in west Alabama. Results are promising for a successful vaccine that could reduce catfish losses by 40 percent or $1.5 million per year into the future. While investigating these vaccines, scientists have developed best management practices that are already reducing catfish losses when the BMPs are followed by producers, harvesters, and haulers of fish to processing plants. Conservative Direct Impact Estimate: $4,840,000 (using a conservative estimate of 40 percent savings in catfish losses for one year only) and project costs of $105,000 per year. Background: Currently, we import 92 percent of the seafood consumed in the United States. Compared to other countries, we produce much of the research and development work for enhanced aquaculture development in the world. At the same time, the United States ranks very low in volume of seafood produced compared to other producing countries. Seafood is the largest nonpetroleum component of our imbalance in trade. The National Marine Fisheries Service reports that U.S. imports of edible fishery products in 2015 were valued at $18.8 billion, down 7.1 percent from 2014. The quantity of edible imports was 2,604,140 metric tons, an increase of 79,748 tons (up 3.2 percent) from the quantity imported in 2014. This was a continuing trend in 2017 with little competition from U.S. aquaculture production and processing companies. Our Alternative Aquaculture Systems and Species work seeks means and methods that would allow U.S. production businesses to compete profitably in global seafood trade. Traditional commercial production systems have become increasingly less competitive during the last two decades. Work with enhanced pond production and controlled environment systems where animals and plants are co-cultured are the featured areas of development. 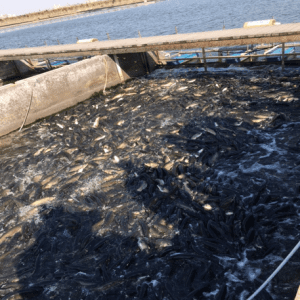 Using traditional open ponds, we are developing improved culture systems where fish are held in confinement to allow better inventory control and efficiency in care and feeding. These methods help farmers to further benefit from their existing capital investment in pond systems. In controlled environment systems where animals and plants are co-cultured using a multitrophic strategy (plants utilize fish waste nutrient streams), we seek high levels of efficiency and yield from investments in water, electricity, feed, facilities, and labor captured by fish and plants. Unlike open pond systems, the controlled environment systems operate and produce output 12 months of the year. These technologies reflect advances in broiler and swine production in past decades past—this time with fish and plants. Conservative Direct Impact Estimate: (1) Enhanced Pond Systems. Current adoption rates of these systems (in-pond raceway systems, split-pond systems, intensively aerated systems, and indoor systems) are less than 5 percent of the water acres in Alabama. The potential adoption rate of 33 percent (5,661 acres in Alabama alone) moves output from an average of 36 million pounds annually to a conservative average of 90.5 million pounds harvested (from 6,500 pounds to 16,000 pounds per acre) with a reduced cost per pound of 20 percent. All costs and revenue are considered at 2017 prices; the on-farm impact of an additional 54 million pounds produced will add $66,519,014 in income above traditional systems at the farm level in Alabama alone. Current investment in Alabama and the southeastern United States is approximately $3.5 million. (2) Controlled Environment Systems. Imported tilapia continues to displace catfish in the mild whitefish market category. Rapid strides are being made in technical advances for fish production and integrated culture with a variety of plant species in controlled environment culture. Efficiently developed, the advanced controlled environment systems called recirculating aquaculture systems (RAS) are making possible routine production capabilities for tilapia ranging from 350,000 to 950,000 pounds per acre. We are offering information and technical support for small and large commercial systems developing across a broad geography. This new approach to commercial culture is called aquaponics and is gaining great acceptance across a diverse audience. Adoption of these technologies at modest commercial scale is following advances made in small systems development. Investment level in 2017 in Alabama and the Southeast was approximately $5.2 million. 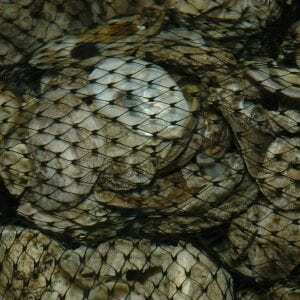 Background: More than 85 percent of global oyster reefs have been lost. The northern Gulf of Mexico is home to one of the last regions where restorative efforts can be effective. Residents of the region have strong cultural, culinary, recreational, and business connections to the bays and estuaries. Oyster reefs of this region are primary habitat for other species important to the way of life in these areas. They also play a primary role in water quality maintenance. 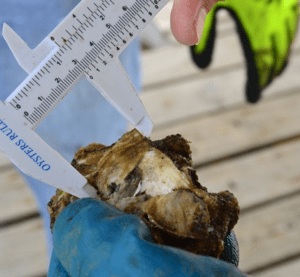 Oyster gardening programs facilitate a connection between residents and these ecological habitats central to their way of life on the coast. 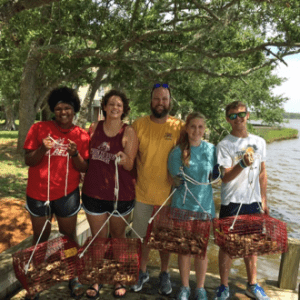 In 2017, oyster gardening programs coordinated by Alabama Extension saw its citizen scientists raise nearly 74,000 advanced stocker oysters for replanting on up to 3.68 acres of reef. The economic value of this habitat potential is $71,304. Background: Off-bottom oyster farming, common in other parts of the country, cultures oysters typically using hatchery-reared single set oysters instead of clumps of oysters normally found in the wild. They are grown to be sold commercially as a premium, high-value product. To support the development and expansion of this industry, applied research is conducted to improve profitability, solve production issues, enhance product safety, and minimize environmental impacts. Support is provided through site visits, technical support, a monthly newsletter, symposiums, workshops, and guest speakers. Conservative Direct Impact Estimate: Production is always reported for the previous calendar year. 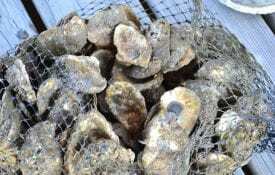 Despite weather challenges, the Alabama off-bottom oyster harvest was valued conservatively at $1.96 million, accomplished by 15 commercial operations, using approximately 20 acres of submerged lands. These farms are estimated to support at least 20 full-time jobs and 10 part-time positions. Background: This project focuses on community resilience to natural and man-made hazards, including sea level rise and climate resilience. One tool used in this project is the Community Resilience Index. A Community Resilience Index web training prepared eight new facilitators. One CRI exercise in Fairhope, Alabama, resulted in a grant proposal and award to develop a community resilience project. Two meetings were held with representatives from Fairhope to plan the resilience project, which will be completed in 2018. Work is also under way to convert the CRI facilitator training into a web-based on-demand training. Initial work on that project began in 2017. Impacts: As a result of the Community Resilience Index exercise by Alabama Extension, the city of Fairhope, has received an award to design and implement a resilient action plan to help protect the community. Alabama Extension, which is actively involved in the project, sponsored a webinar in which eight new professionals were trained to facilitate the Community Resilience Index. These individuals will be able to guide their local communities through the CRI exercise and assist communities in implementing projects to address resilience. Evaluation Techniques: A case study of the Fairhope project will be completed in 2018, as the project is ongoing. 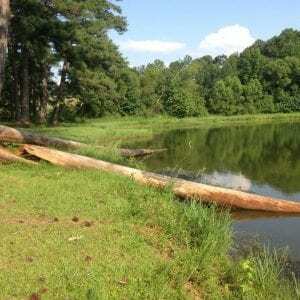 Background: Alabama has approximately 250,000 small impoundments, and most are privately owned ponds that represent some of the most important aquatic systems in the state. These ponds are used for drinking water, storm water management, irrigation, firefighting water, livestock water, aquaculture, aesthetics, and the most common use, recreational fishing. Pond owners routinely struggle with many factors that impede their efforts to reach pond management goals. 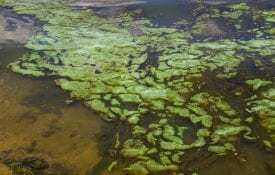 These include aquatic weeds, fish kills, poor fish growth, structural failures such as leaks, and many others. 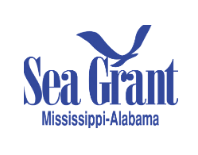 Educational activities, programs, and products were generated to inform pond owners and managers as well as the general public in the ecology and management of small impoundments in Alabama and throughout the Southeast. More than 30 specific events or public activities were conducted in 2017. Pond management workshops were led by state specialists, area specialists, and natural resource regional agents. Other non-Extension professionals who helped deliver these workshops included Alabama Department of Conservation and Natural Resources biologists, Natural Resource Conservation Service personnel, and private pond consultants. 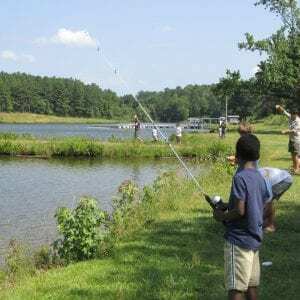 Other activities included youth camps, field days, the Sun Belt Expo, and conventions where recreational fish pond management information was available. 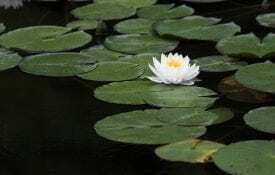 Specialists and agents also provided consultative services such as pond visits, telephone and email responses to problems, weed identification and control recommendations, and water testing for fertility assessment. Digital resources included maintaining archives of Extension literature, lists of producers, and management of the Alabama Fisheries and Pond Management Facebook page. Evaluation Technique and Result: In one pond management workshop, participants were pre- and post-tested on important management concepts. Pre-test answers averaged 37.94 percent correct, and post-test answers 79.67 percent correct, an improvement of 52.4 percent. When asked how much participants spent managing their ponds, 44.4 percent indicated that they had spent nothing on addressing their primary concern; 5.6 percent between $1 and $100; 33.3 percent between $101 and $500; 5.6 percent between $501 and $1000; and 11.1 percent more than $2,500. About 17 percent reported that this was their second or third attempt to address their primary concern while the remainder reported that this was their first attempt. Participants indicated a willingness to pay an average of $510.71 for a plan that addresses the primary concern for their pond. Background: Recreational angling is an activity shared by thousands of adults and youth across the state. The 2011 National Survey of Fishing, Hunting, and Wildlife-Associated Recreation documented about 683,000 anglers who spent nearly 11 million days fishing each year. These anglers spent nearly $500 million per year. We believe that angling is a healthy outdoor pastime that helps participants learn about and better appreciate our aquatic natural resources. Angler education events were held in several counties and at one multistate event. These activities included supplying information at a multi-county expo booth, casting games and fish prints at four different field days, presenting two intensive trainings for youth on the ethics of fishing, the biology of fishes, and the practical techniques of fishing. 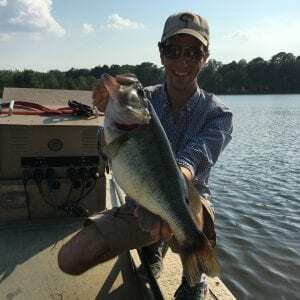 Angler education has also been a central focus of many social media posts. individual participants (both youth and adult) remarked that it was the first time that they had fished or even held a fishing rod. 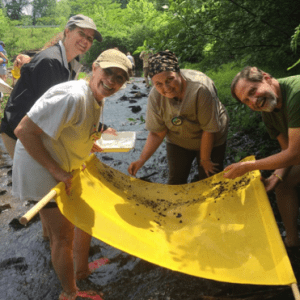 The Watershed Management Project develops and demonstrates management practices to enhance the development and implementation of effective watershed education, monitoring, planning, and improvement. Project efforts include training in water and watershed management using demonstrations and stakeholder meetings at the watershed level, incorporation of management practices into landowner education programs, and facilitation of volunteer water monitoring workshops. 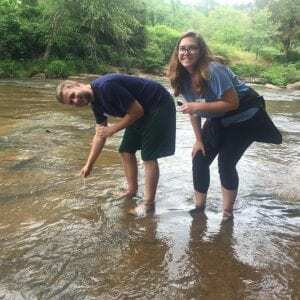 Project outcomes include improved knowledge of watershed best management practices, increased adoption of watershed best management practices, and improved conditions of water resources as documented by Alabama Water Watch volunteer water monitors. Background: The Alabama Extension Water Resources Program focuses on improving water resources through enhancement or restoration of streams. With a systems approach, the program increases understanding of the causes of instability or degradation; recommends methods to address the cause of the problem while incorporating other goals such as improved ecology, infrastructure protection, decreasing loss of land to erosion, and aesthetics; shares lessons learned through demonstration projects, and promotes wise stewardship of water resources. Direct Impact Estimate: The Moores Creek Watershed Project generated $1.1 million in aesthetic and recreational benefits (valued using a moderate estimate based on a contingent valuation survey of $1,000 per foot) through the restoration of approximately 1,100 linear feet of Moores Creek. In addition, more than 30 Lanett High School student volunteers participated in the Moores Creek Stream Clean Up at a value of more than $2,000. 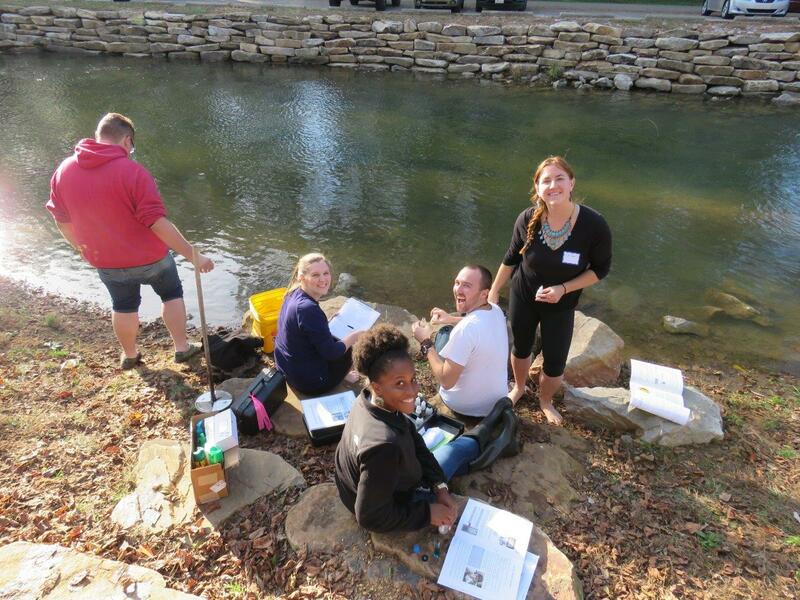 Background: The focus of Alabama Water Watch (AWW) is promoting community-based, science-based watershed stewardship in the state through water monitor training and promotion of data-to-action strategies in local water resources management. In 2018, AWW conducted 93 training sessions that resulted in 632 volunteer monitor certifications. AWW also displayed approximately 100 copies of the America’s Amazon infographic poster in public offices and education centers for the following organizations: Alabama Welcome Centers (Alabama Department of Conservation and Alabama Tourism Department), Alabama Department of Conservation and Natural Resources, Soil and Water Conservation Districts, DeSoto State Park Nature Center, Alabama Museum of Natural History, and Dauphin Island Sea Lab. The poster highlights water- and biodiversity-related facts about Alabama and encourages involvement with AWW. Impact Estimates: 4,890 hours of volunteer citizen time (from 632 trainees and 58 AWW-certified volunteer trainers who conducted 44% of trainings) at a value of $108,949. A total of 2,883 data records from 462 waterbodies were submitted by volunteers, saving the state more than $534,631 for collection of water data. Trade and brand names are given for information purposes only. No guarantee, endorsement, or discrimination among comparable products is intended or implied by the Alabama Cooperative Extension System.